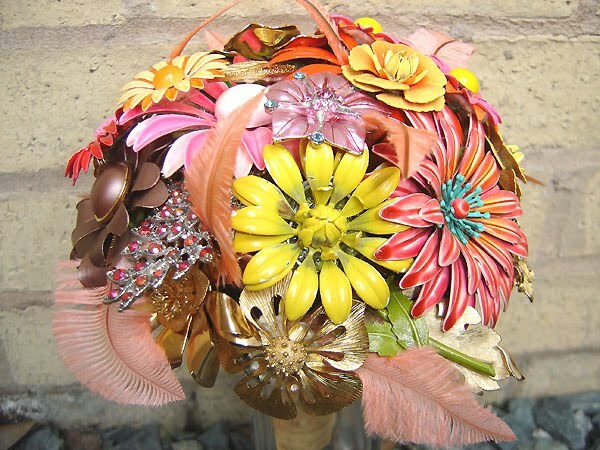 Hot fall colour vintage brooches and earrings, some with rhinestones, trimmed ostrich spines, handtired style bouquet with stems sticking out from raffia wrap, burlap cloth leaves backing and a copper stamping embellishment. 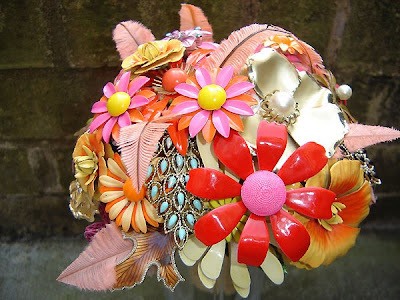 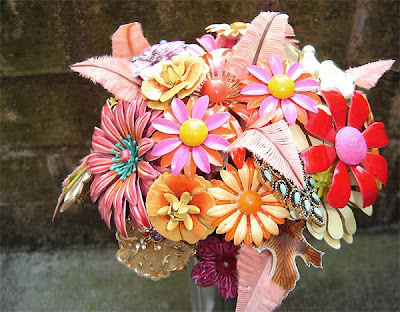 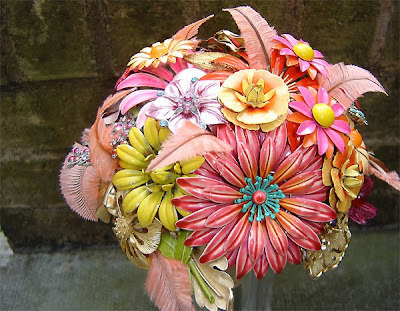 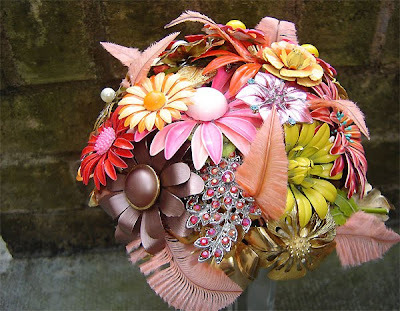 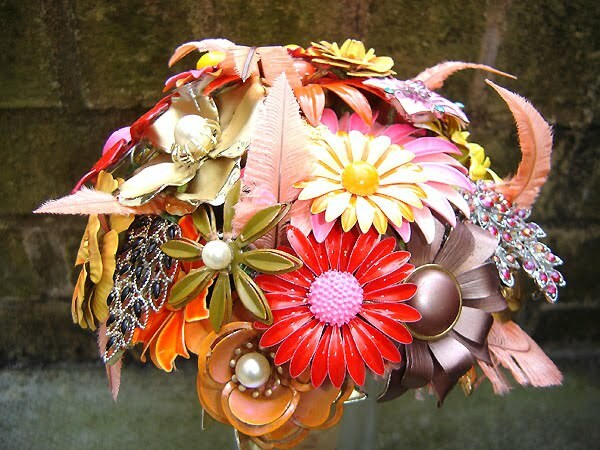 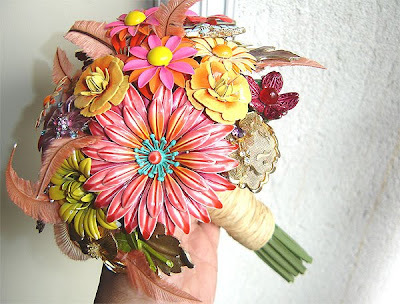 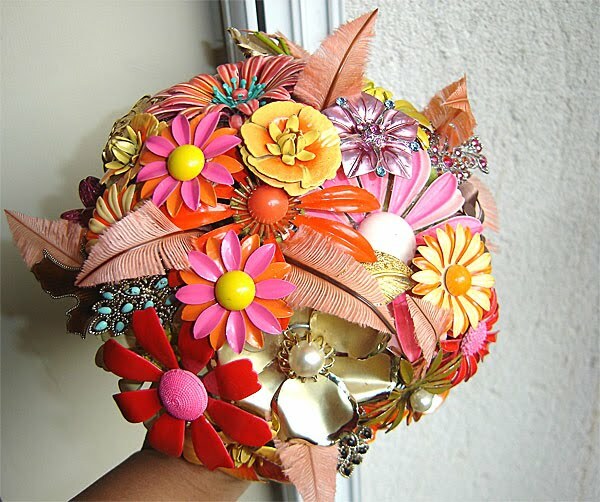 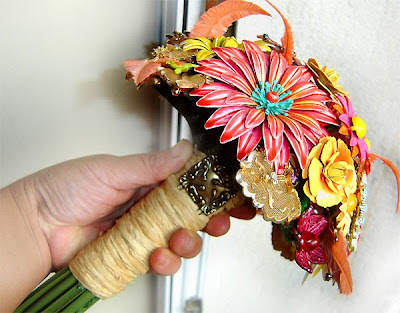 How I love these upcycled bouquets which will last fresh forever. 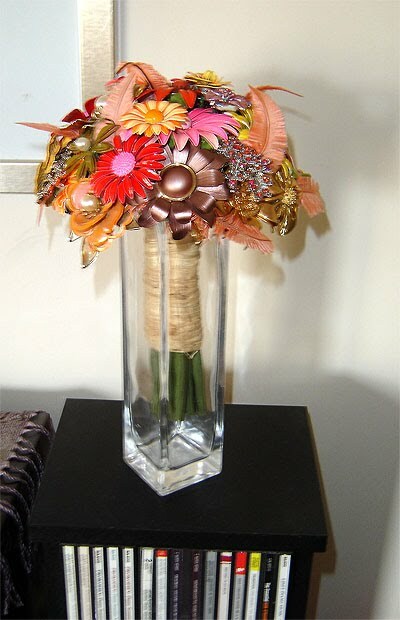 Immagine how nicely they could be displayed in your home after the wedding? 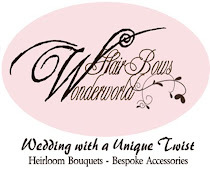 I am launching my new FB fanpage and I ll be giving away a beautiful item soon here, so make sure to check back this blog. 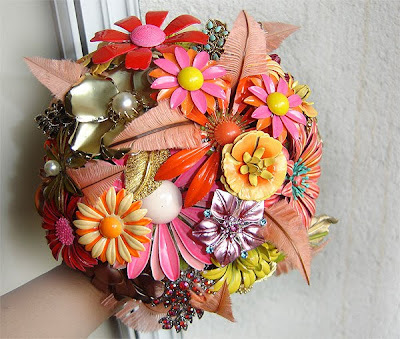 I am posting it soon. 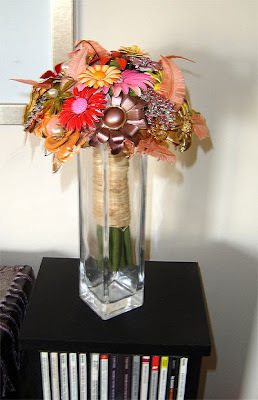 Have a great Sunday, everyone!